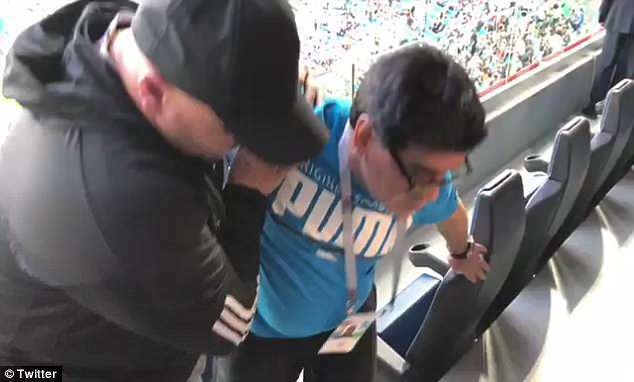 The 57-year-old was seen being helped from his seat in the stadium before collapsing into a chair. 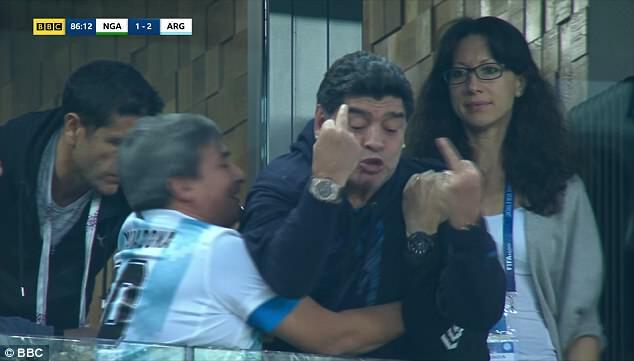 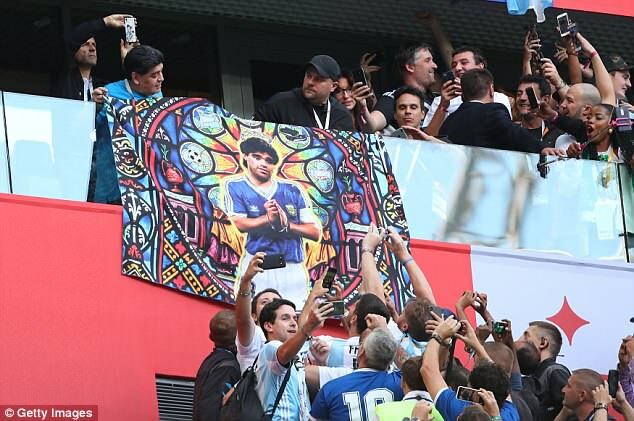 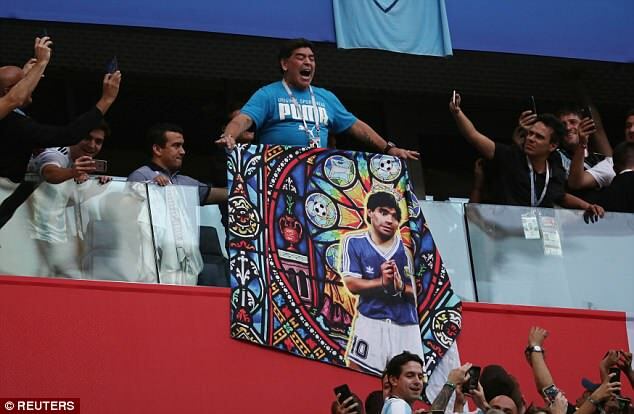 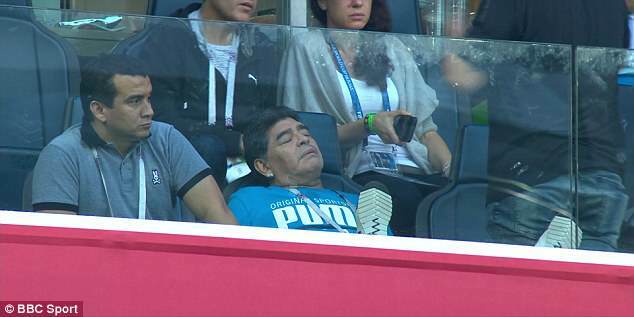 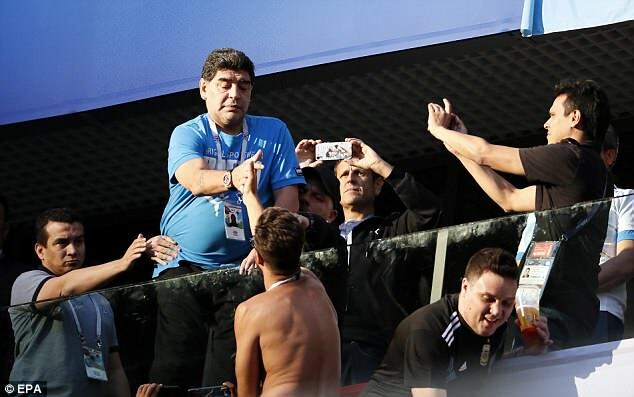 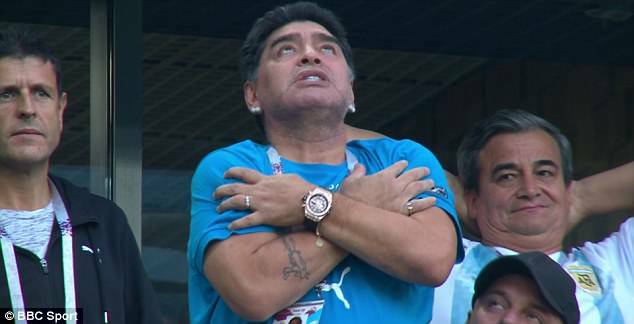 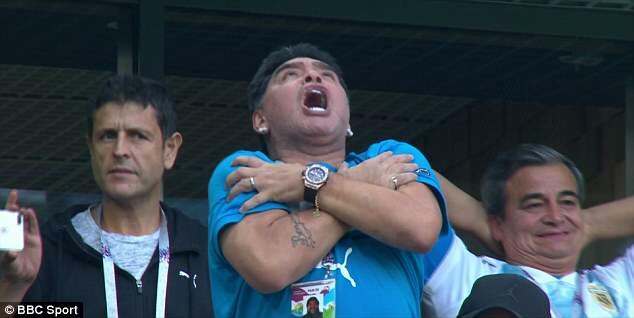 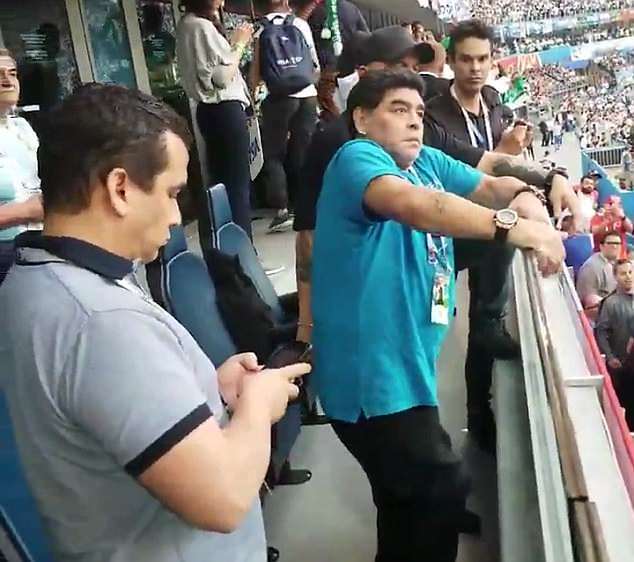 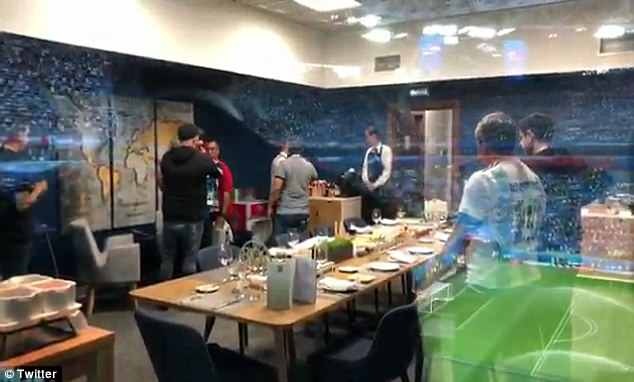 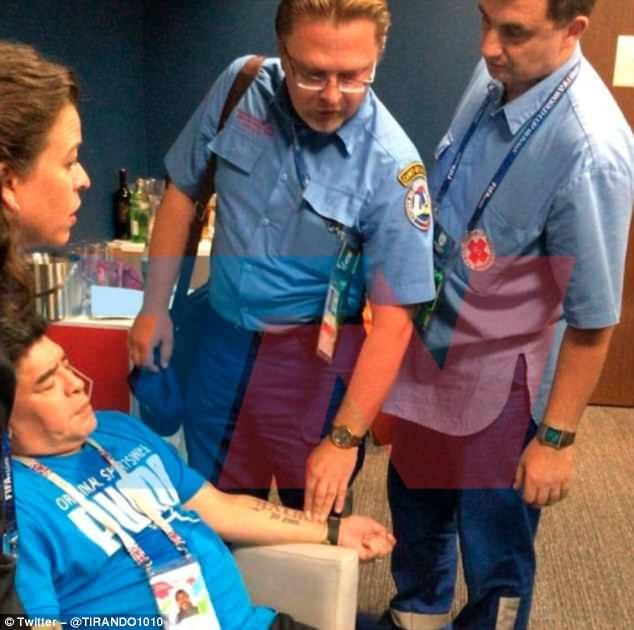 He was immediately attended to by Russian paramedics but despite reports that he had been taken to hospital, Maradona left the stadium himself. 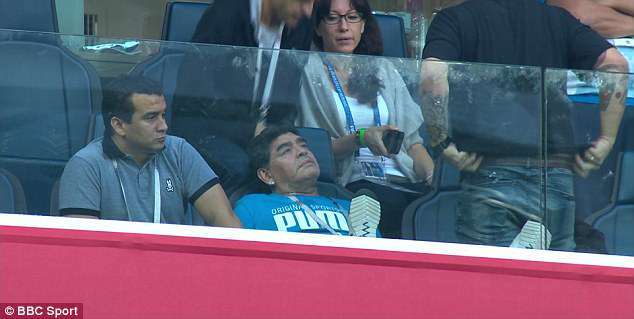 Low blood pressure is thought to have caused the momentary scare. 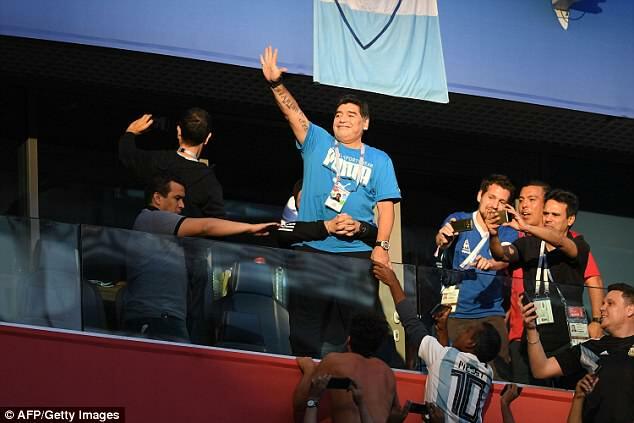 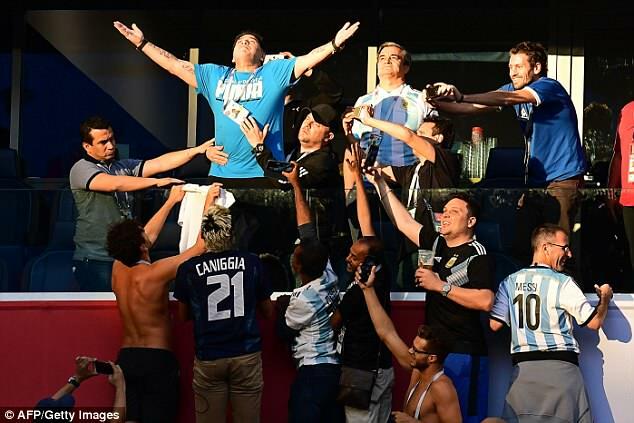 A night of bizarre behaviour from the man who led Argentina to the 1986 World Cup – a feat they have not repeated since – began with him grabbing a woman to dance with in the executive seats before the game. 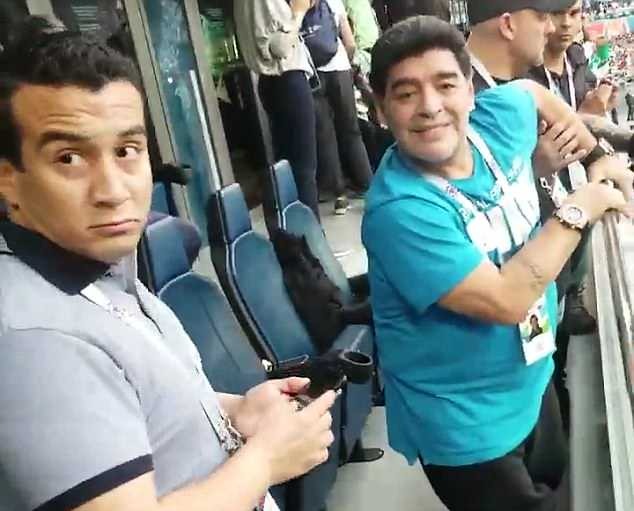 He seemed to be out of control when Messi’s opening goal went in. 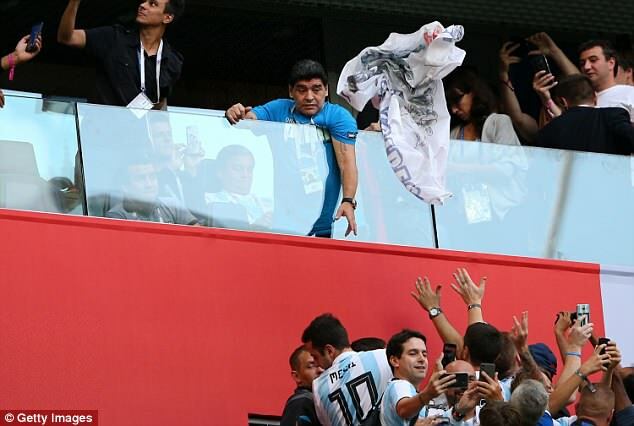 Speaking on the BBC’s coverage of the game, pundit Rio Ferdinand led the criticism of his antics. 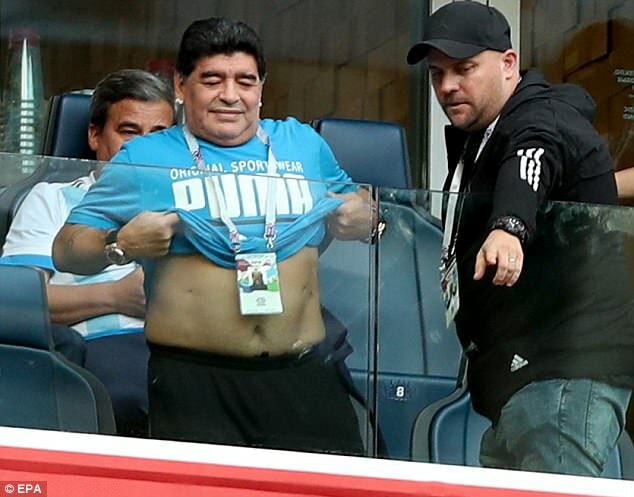 He said: ‘That will make a lot of the news unfortunately.